When my nieces were visiting we all went to our favorite place together--the book store. In our case, the only real bookstore we have near by is Barnes and Noble but we saw this book for sale there and my thirteen year old niece was quite captivated by the pink cover. I'm excited to be able to offer a giveaway of this book today. In James Patterson's first highly illustrated "diary fiction" story for teens, the mega-bestselling author's most endearing and original teen heroine ever proves that everyone can use a helping hand once in a while. Margaret "Cuckoo" Clarke recently had a brief stay in a mental institution following an emotional breakdown, but she's turning over a new leaf with her "Happiness Project". She's determined to beat down the bad vibes of the Haters, the Terror Teachers, and all of the trials and tribulations of high school by writing and drawing in her diary. And when life gets really tough, she works through her own moments of uncertainty through imaginary conversations with her favorite literary characters. Cuckoo's also got a nearly impossible mission: she, along with her misfit band of self-deprecating friends (who call themselves "the Freakshow") decide to bridge the gap between warring cliques and "bring the Nations together". Not everyone is so willing to join hands and get along, but Cuckoo never stops smiling...until one of her closest friends, pushed to desperation by a Hater prank, decides that enough is enough. More information about the book can be found by visiting the Homeroom Diaries official site and checking out the instagram account. 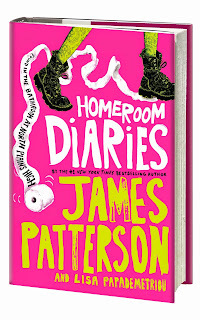 You can also follow James Patterson on Twitter and Facebook! 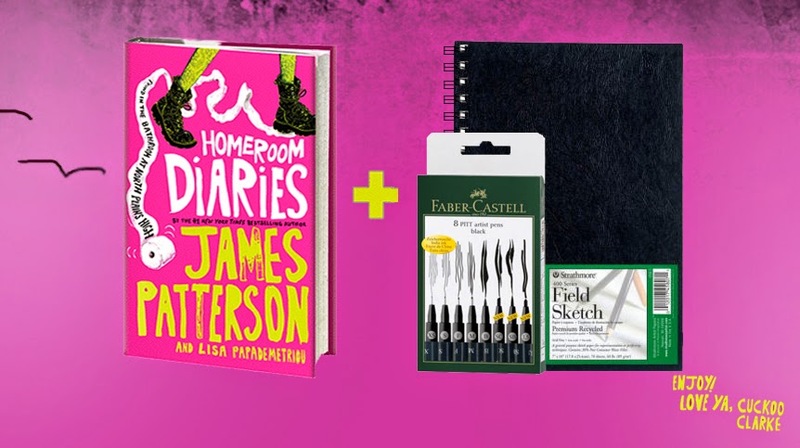 A prize pack fit for a doodling diarist! 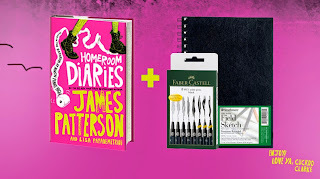 Enter for your chance to win a copy of Homeroom Diaries, a sketchbook, and artist drawing pens. Giveaway is open to residents of the US only and sponsored by Little, Brown. To enter just fill out the form below!